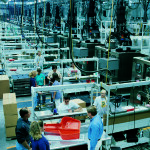 Blow Molded Products Manufacturing – Custom-Pak, Inc.
Custom-Pak operates six modern blow molding manufacturing plants in North America. 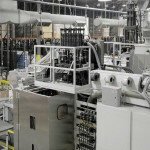 Over 200 state-of-the-art blow molding production lines provide extrusion blow molding with a broad range of capabilities. Machine sizes range from 1 to 30 lb shots using 1,2 or 4 heads per machine. Interchangeable machine components allow us to configure the machine to best fit your product size & quantity. Custom extrusion dies and control systems provide exact material control for your part shape. 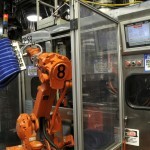 Our blow molding plants run 24 hours, 7 days/week to meet your changing demand. Our manufacturing plants produce almost zero waste. Our recycling operation allows us to offer clean, chemically compliant recycled plastics. With high volume material purchasing, direct rail delivery and in-house compounding, we keep your cost of material well below the market. Our efficient infrastructure lowers energy consumption for low conversion costs. Custom-Pak’s technical support for the blow molding operations is unmatched with dedicated design, mold making, machine building and automation centers all adding value to your project.